The area on the northeast side that has generically been called “The Meadows” since the mid-1900s actually consisted of a number of different adjacent developments that were built over a period of more than 20 years. 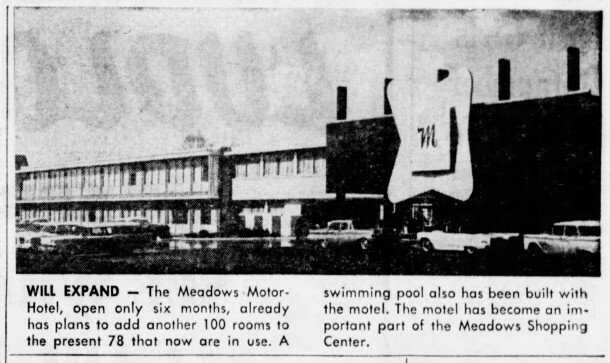 These separate projects included the Meadowbrook Apartments, the Meadows Apartments, the Meadows Shopping Center, the Avondale Theatre In the Meadows, the Meadows Motor Hotel, and the Meadows Executive Plaza. The various entities with the word “Meadows” in their names were built on land purchased from the Roberts family. 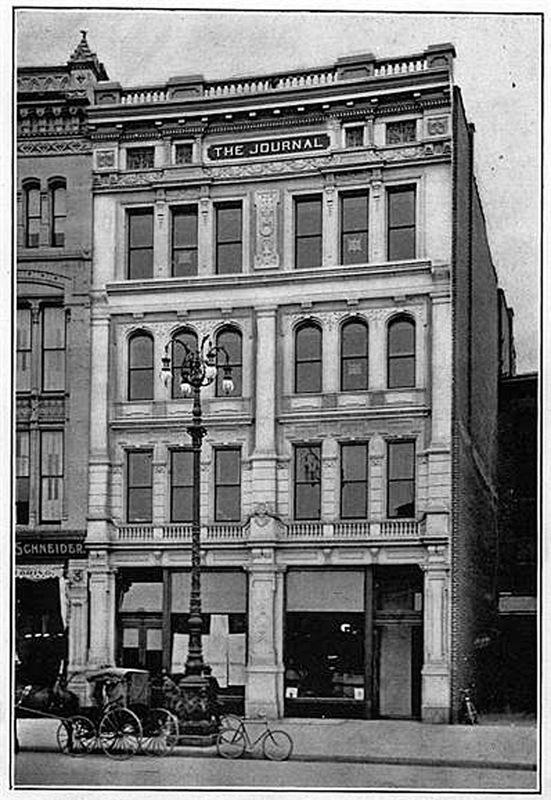 William Henry Roberts (1860-1922) founded a dairy with a home delivery service in 1877. Several generations of the family were involved in the operation. 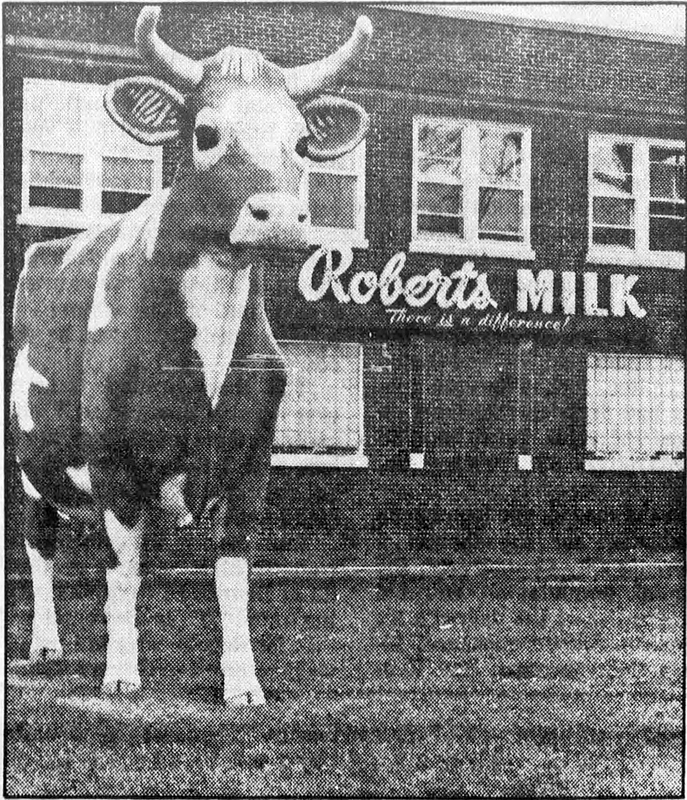 Roberts Dairy served the Indianapolis area for 110 years, closing in 1987. 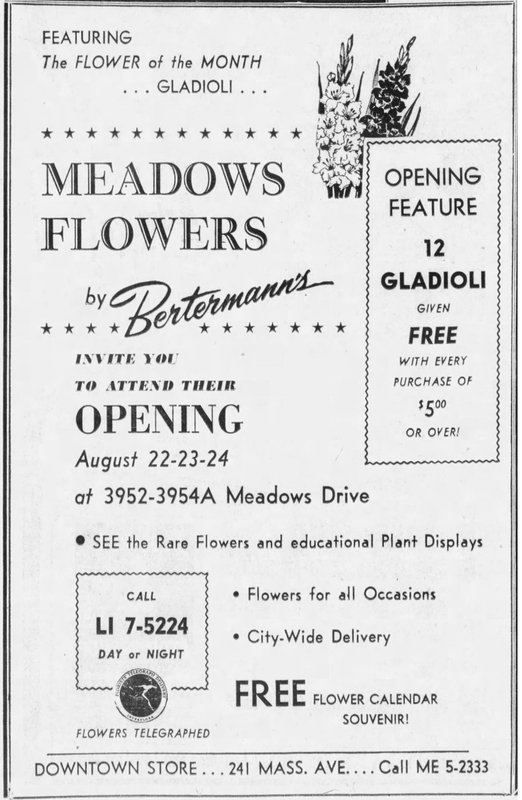 In the 1940s, the Roberts family retained the acreage surrounding their home and their business and sold the remaining 153 acres to the developers who created the Meadows community. The former Roberts Dairy plant, as well as the Roberts family’s residence, are still standing today near the intersection of East 42nd Street and Millersville Road. The statue of a cow that once stood in front of the business is no longer there. Reportedly, it was acquired by another dairy and now graces that facility. 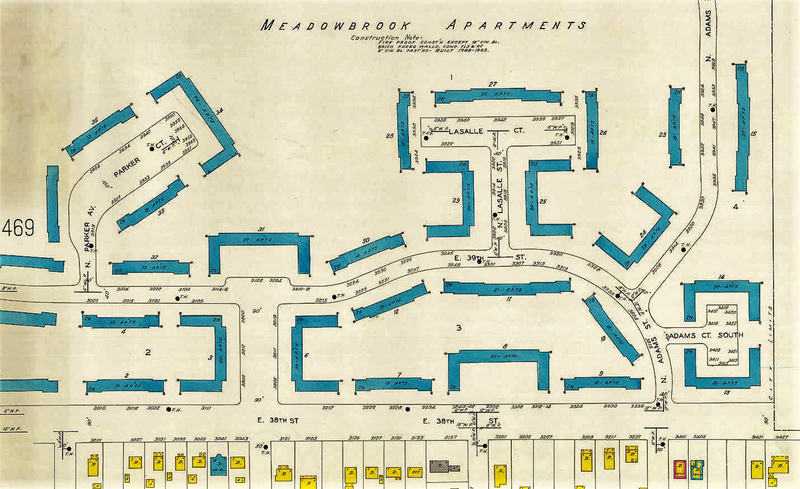 The first buildings to be constructed in the Meadows area were the Meadowbrook Apartments. They were so named because a brook flowed through the meadow when the unimproved property was still owned by the Roberts family. 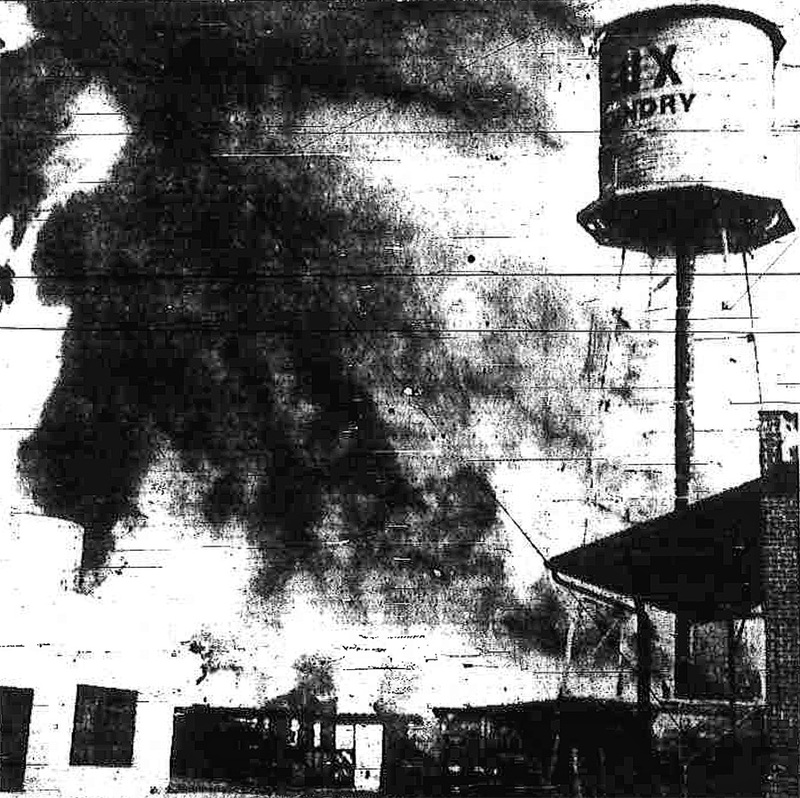 Work began in January of 1947 on 37 two-story brick buildings containing 620 rental units. The Meadowbrook was the largest apartment complex ever attempted in the State of Indiana to that date. The Meadowbrook Apartments were clustered around courtyards on winding, tree-lined streets immediately north of East 38th Street, between Keystone Avenue and Sherman Drive. The addresses of the Meadowbrook Apartments were on Parker Court, LaSalle Court, Adams Court, and 38th Street North Drive. The first residents moved in to the Meadowbrook Apartments late in 1947. 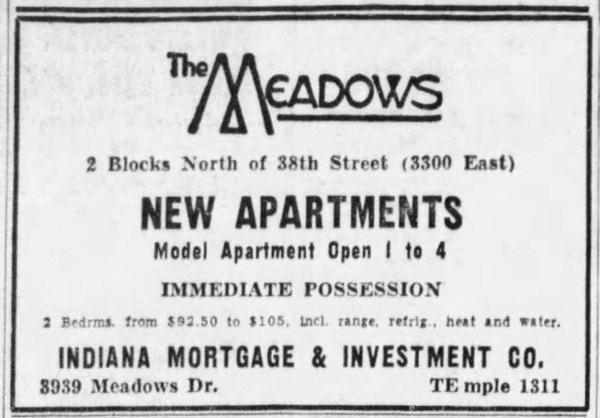 In 1953, construction began on the Meadows Apartments, which were located north of the Meadowbrook Apartments. The Meadows Apartments consisted of 56 buildings with 616 apartment units. The addresses of the Meadows Apartments were on Meadows Court and Meadows Drive. 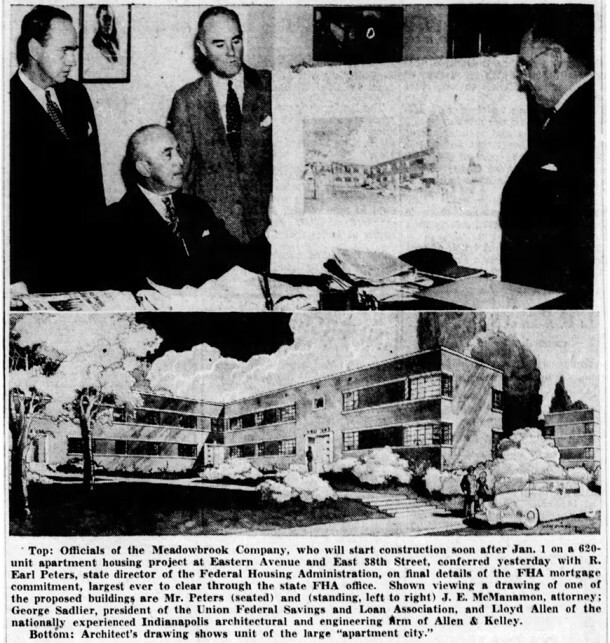 The first occupants moved in to the Meadows Apartments in 1954. 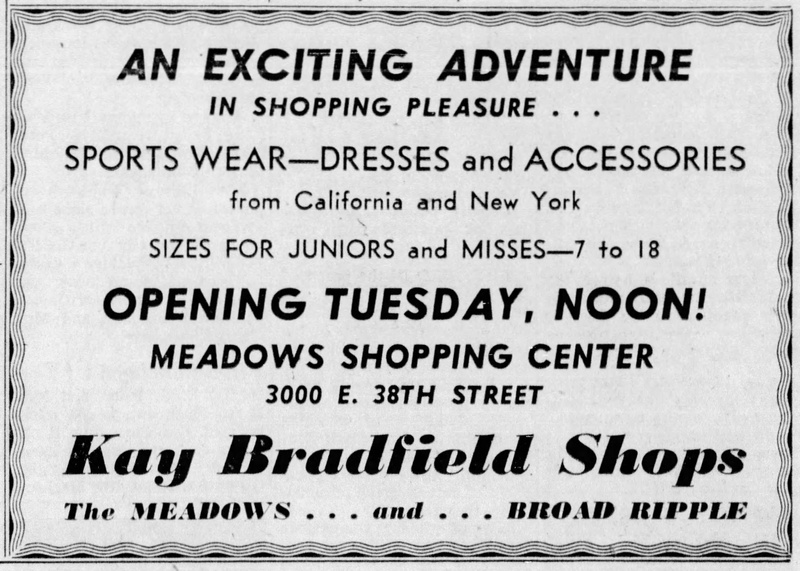 In the summer of 1956, construction began on the Meadows Shopping Center, which was located to the west of the two apartment complexes, extending from 38th Street on the south to 42nd Street on the north. 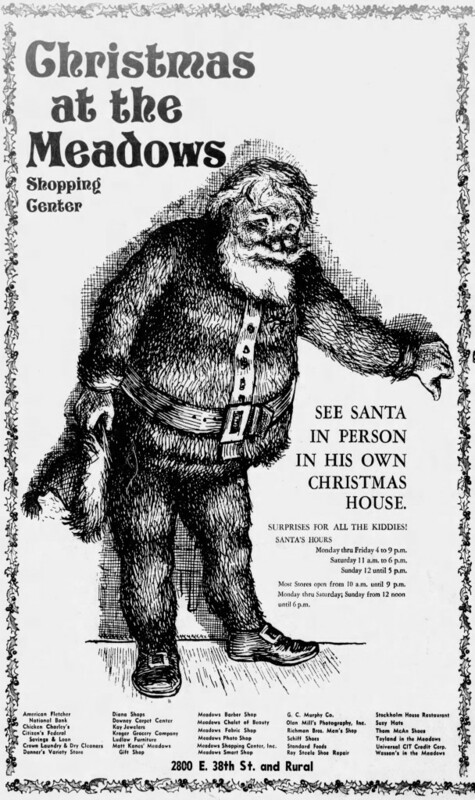 Initially, thirty stores were planned, but more stores were added in subsequent years, including a popular bowling alley. 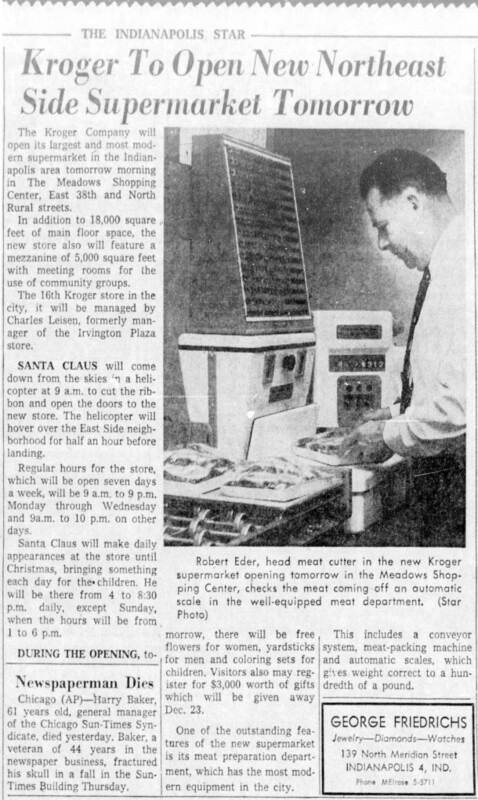 The retail stores in the Meadows Shopping Center began opening in December of 1956, including the largest Kroger Supermarket in Indianapolis. 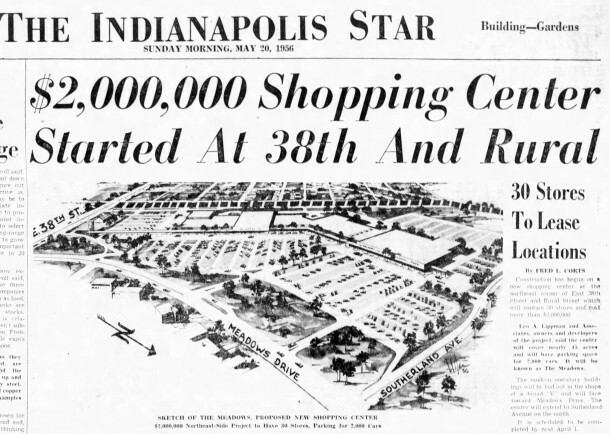 The completed shopping center’s grand opening was in August of 1957. In 1957, the Avondale Playhouse found a new home in the Meadows. Established in 1954 as the Town and Country Playhouse, the summer stock theatre had been performing in a field near 56th and Millersville Road in its first three years, which was very wet and muddy whenever it rained. 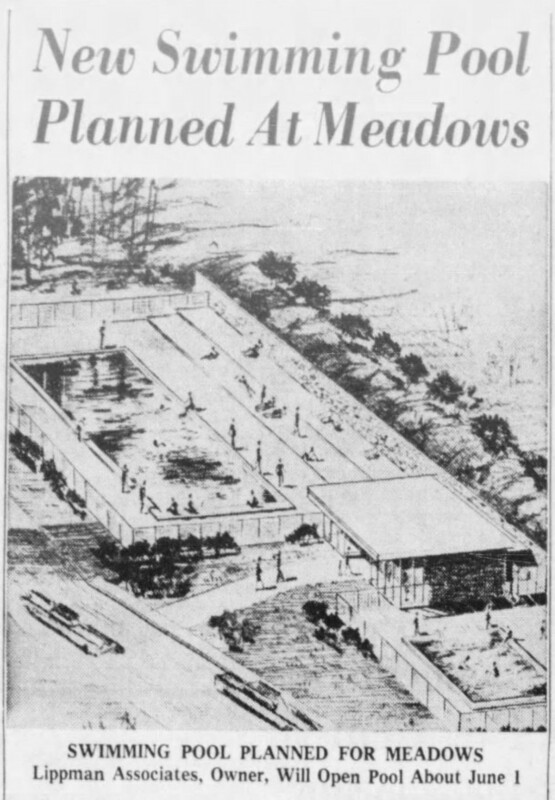 The Meadows location provided the group with less soggy terrain on which to pitch its red and white candy-striped tent each June, plus the Meadows site was adjacent to a paved parking lot. The original name of the theatre was changed to Avondale Playhouse in its second and third years and to Avondale Theatre In the Meadows in its fourth year. In 1959, the Meadows Motor Hotel was completed. It was so popular that more rooms were added to the motel only six months after it opened. 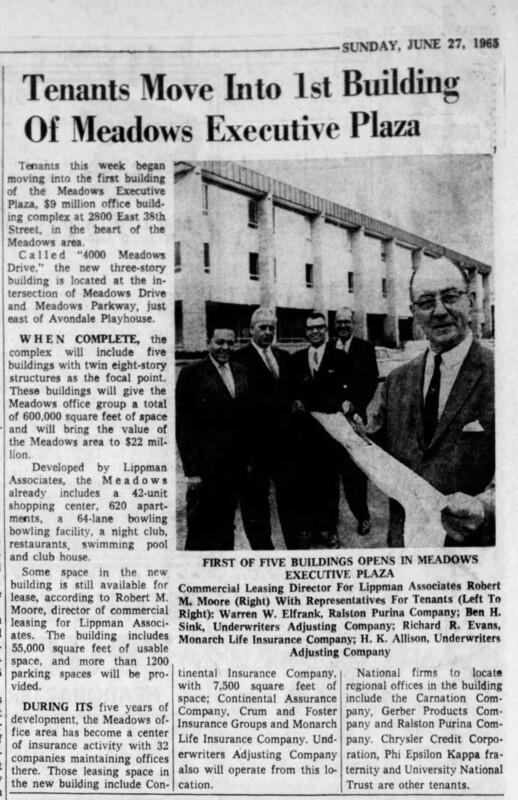 Beginning in 1965, the first of five office buildings was erected in the Meadows Executive Plaza. There is much more history of the Meadows area after the years that were covered above. 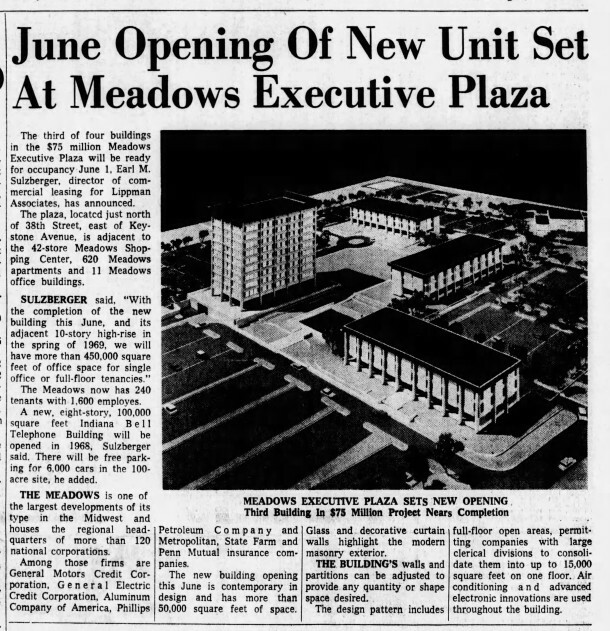 Since the Mailbox question asked only about when the area was originally built, this reply discussed the development up to the time the Meadows Executive Plaza was built. It does not discuss the changes that occurred in the Meadows area in later decades or the redevelopment that’s currently happening in the Meadows area. Readers who have memories of the Meadows area’s early years are invited to share them in the comments section below this article. Thanks for this article. 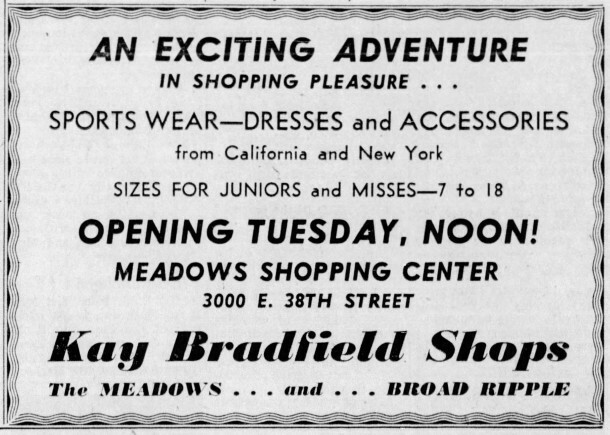 In the 50s and 60s, my husband and I knew Jack Kane, whose father had a jewelry shop at the Meadows. Also I had a really good friend who lived on Adams St. I sent a link to the article to her. Thank you for taking the time to post a comment and send the link to a friend. I remember Matt Kane, the jeweler. I grew up in this area and almost lived in the Meadows. I played Little League at Meadows Little League for six years until it was bulldozed for office buildings. Matt Kane was more of a knickknack shop although there was some jewelry there. There was another Jewelry shop adjacent to it though but I don’t know if they were related. I remember one summer that Matt Kanes was bombed and blew all the windows out by someone. I was there at the Meadows Toyland store just down from it when it happened. If you have any pictures of the Meadows outside of the article please contact me. When was the name of Brightwood Park renamed Washington Park? 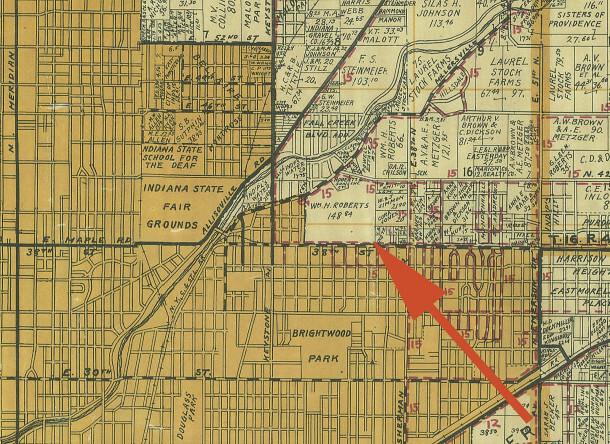 The City of Indianapolis acquired the 128 acres in 1923. It was unofficially called “Brightwood Park” by the City and “Dearborn Park” by residents of surrounding streets. 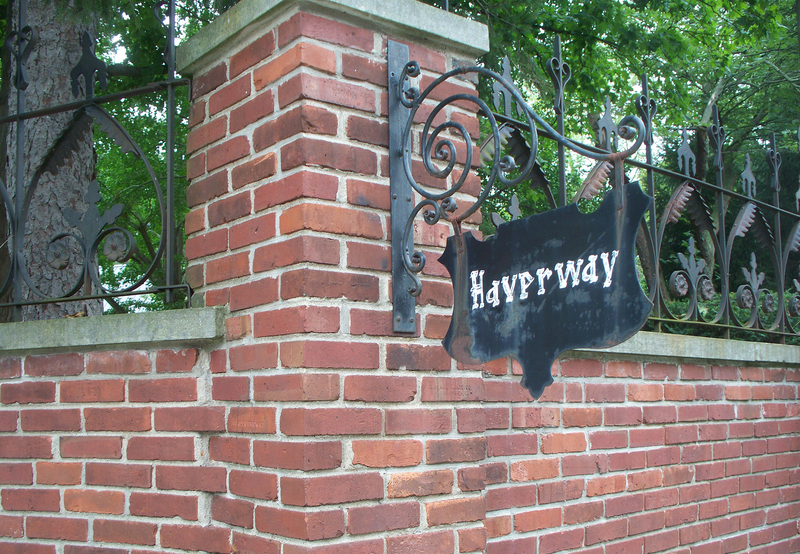 However, the property was never officially named nor properly developed as a park until the residents of the Brightwood area began to pressure the City to do so. Late in 1932, the City made the decision to name the tract of land “George Washington Park” to honor the 200th birthday of our country’s first President. Yes, I think Nelson told me his family’s dentist was located in the Meadows in 1950-60s Indianapolis. Kind of a middle-class, mixed use, residential and commercial development place. 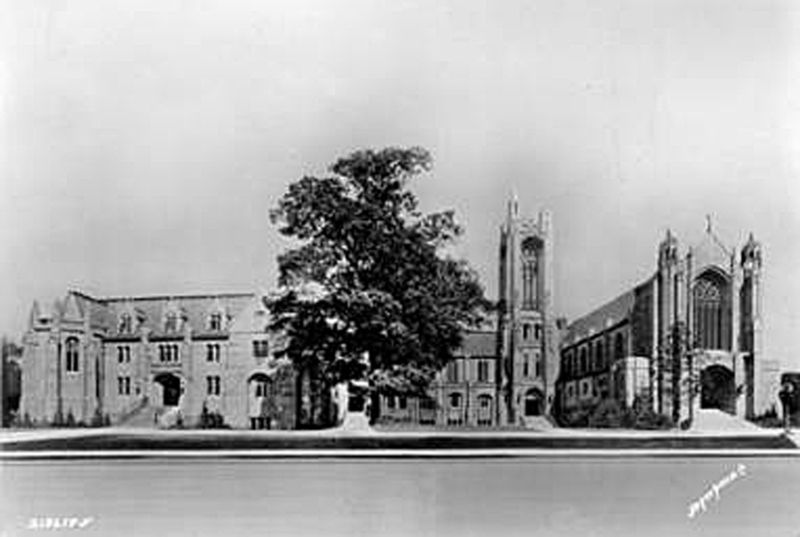 The Meadows was also the scene of a 1958 murder scandal. Wealthy married Lilly executive Forrest Teel was found with three bullet holes in his body in his Cadillac parked near the Meadows Shopping Center. His killer was his jilted mistress Connie Nicolas, who had been dumped for a “younger” friend of Teel’s who lived at the Meadows. 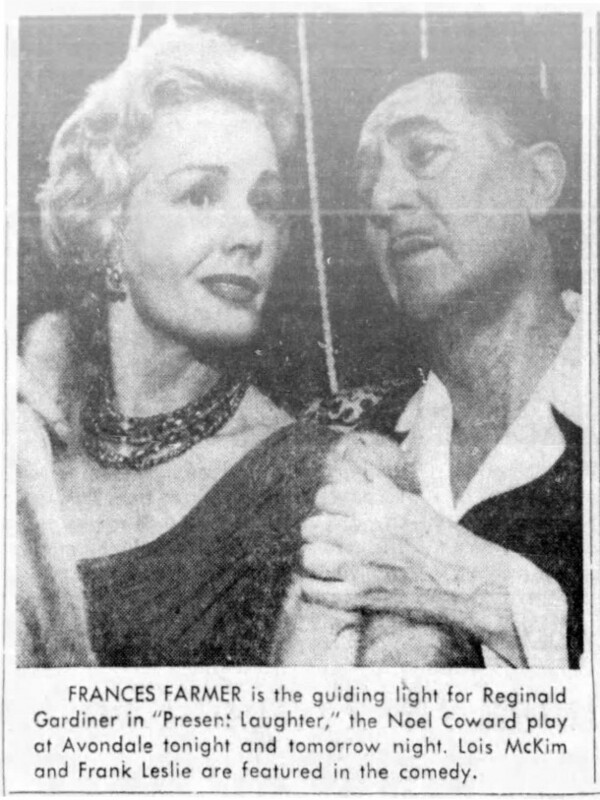 http://archive.indystar.com/article/99999999/NEWS06/307310028/1958-case-scorned-mistress-ends-murder Connie Nicolas showed no remorse; apparently had been stalking Forrest Teel. Well, all’s fair in love and war! The grave of Forrest Teel is one of the stops on the Skeletons II Tour at Crown Hill. Though he strayed in life, he now lies faithfully beside his wife in Section 212. Coincidentally, the judge in Connie’s murder trial, Judge Faulconer, is buried in the same section. My brother Ed played with Forrest and Betty’s son, Tommy, when the boys were young. Cowboys were heroes to youngsters in the ’40s and ’50s, so my mother (who did a lot of sewing in those days) made cowboy outfits for Tommy and Ed. I have photos of the boys in their western attire. This was several years before the murder of Tommy’s father. After the murder, Mary Teel did not want to live in the house that Forrest and she had built together. My aunt and uncle bought the Teels’ home. They owned it for almost 40 years. Their daughter, my cousin, inherited the property from her parents, and she and her family lived in it for over 15 years. After more than half-a-century of living in the Teels’ former home, my cousin has recently retired to a condo. My family was one of the very first black families in the area. Can you tell me why the name is now Avondale-Meadows and not just the Meadows? Darrell, I wanna say that I remember you from school #1. We were one of the last white families. I lived at 3513 Adams St from 1955 to 1968. This area played a big political role in integration back then. Richard Lugar became very popular during this time. I wish I remembered the name of the book I read. I remember us white kids and black kids getting along well but white adults were very concerned about property values. And communism. My wife is Russian. There was a theater in the Meadows shopping center named Avondale. I remember the Avondale Playhouse as being a “theater in the round”. I only saw one play there back in 1964. I can’t remember the name of it but it starred Fernando Lamas and Esther Williams. It was a great way to spend a Summer’s evening. I wonder when it closed down? Just wanted to say the information about the Meadows is great. My Grandparents own Toyland in the Meadows. I knew your parents as a kid. Your mother knew I read the Hardy Boys and would always tell me when a new one would come out as soon as I came in. We raced slots there and I visited every time I went to the shopping center. I collected a whole bunch of Matchbox cars from there and entered their contests for building model cars. I was pretty bad at building them so I never one. I always liked your parents and respected them. It was clear they loved the kids that came in there! Do you have any historical stories or pictures of The Meadows Little League or Meadows Bowl? If we did, it probably would have been in the article. Or maybe sometime in the future if we come across one, it may end up as a new article. Check back periodically. Cheers. My mother used to work at Kroger in the meadows shopping center and bowled at meadows bowling alley. I found an old patch which I believe came from meadows bowl. Is the bowling alley gone? I’m trying to find the name of the Polynesian restaurant from the 1960’s, it was in the same storefront as Brock’s drug store at 38th and Sherman Drive. Can you help? How did the Meadows get its name?